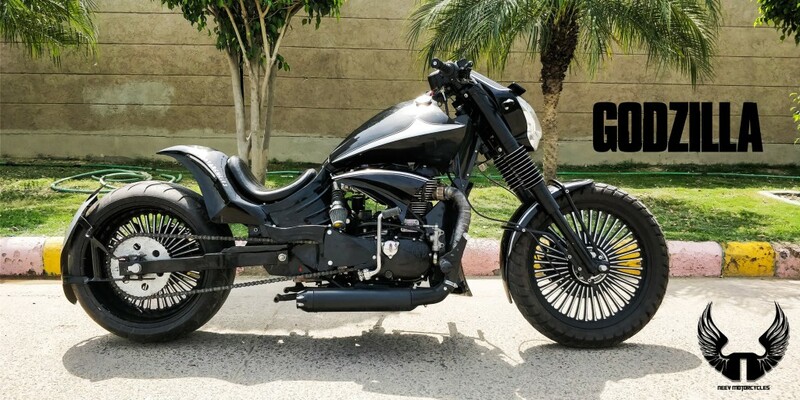 Ducati Diavel is one of the unique looking bikes in the automotive industry and we have already seen so many modifications based on Diavel. 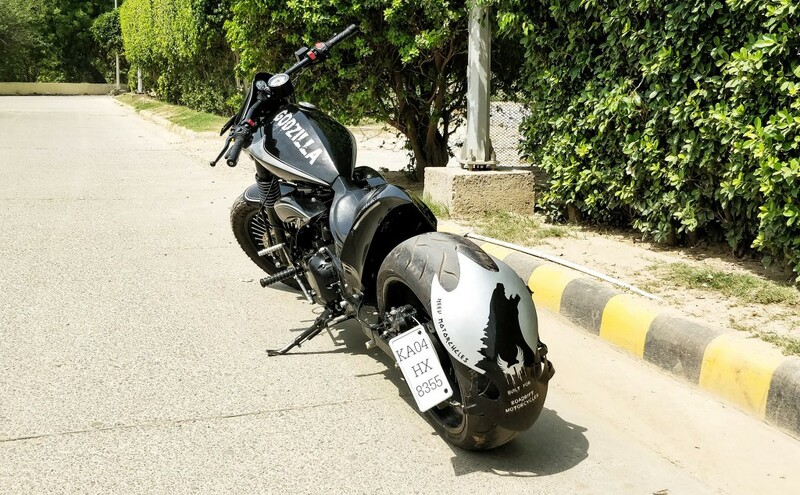 Neev Motorcycles based in Delhi modified a Royal Enfield Thunderbird 500 with Diavel styling cues and christened as Godzilla. The custom shop has made lots of changes for the bike and most of the parts are hand made to get the maximum perfection. 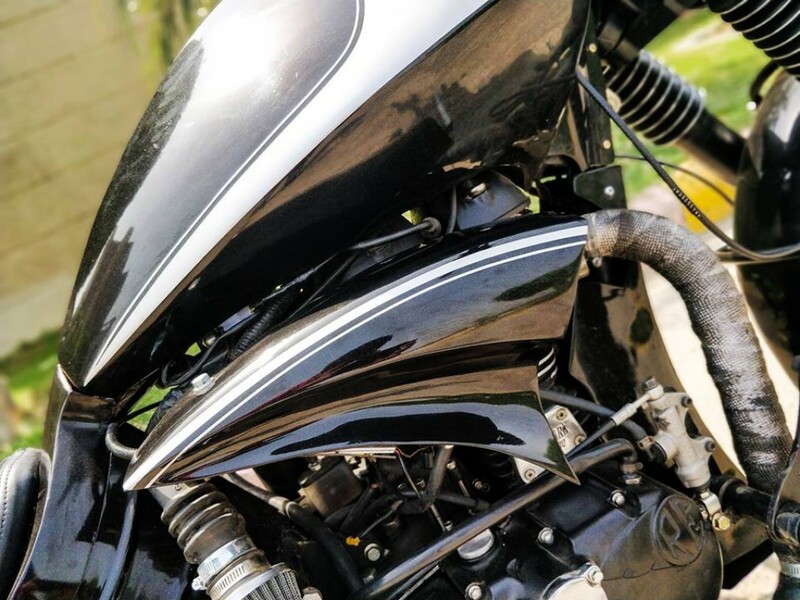 The front gets new LED headlamps which looks similar to the Pulsar 200 NS. The stock front forks have been replaced by a custom unit made one from aluminium which is longer than the original one. 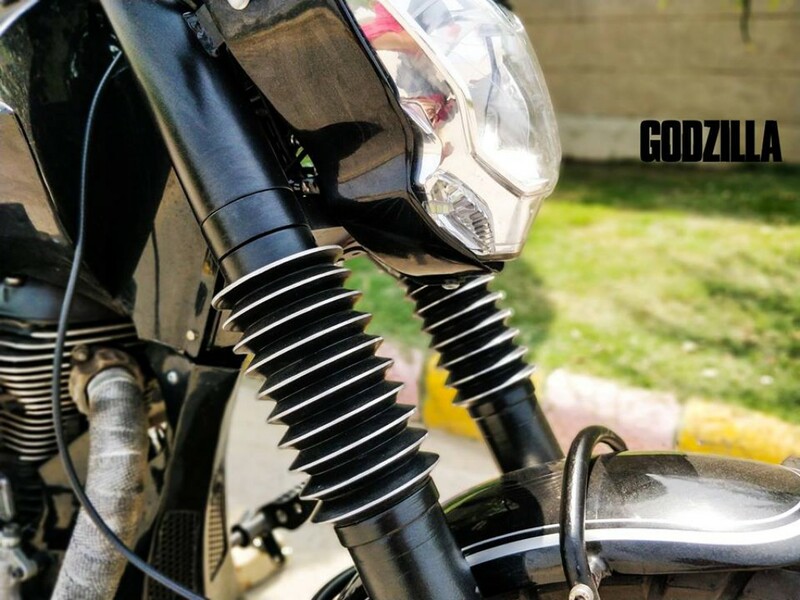 The handle bar is a single piece unit which is wider to give touring riding position. 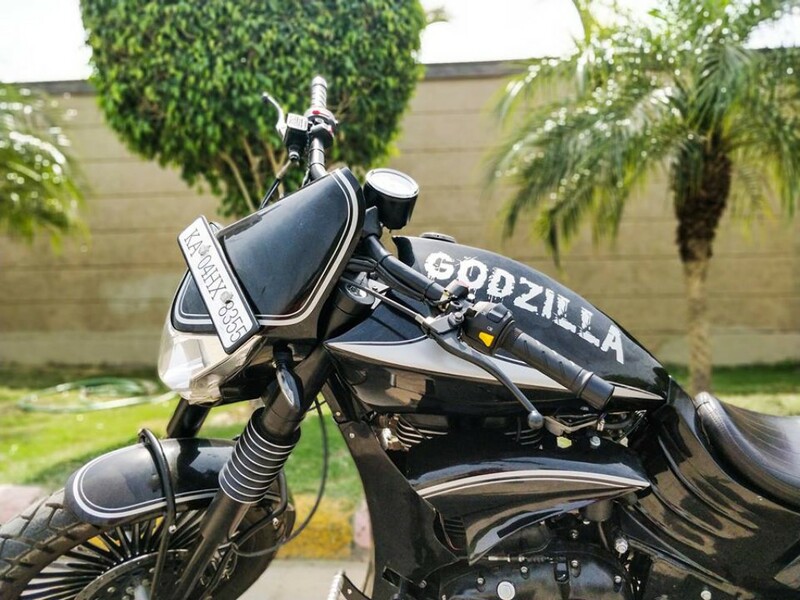 The design of fuel tank is unique as it’s very long compared to regular tank with the name “Godzilla” written on it. Also Read : Would You Buy An Electric Royal Enfield Classic 500? The speedometer is positioned on the handle bar while the second metre is positioned near the visor which is hidden from most angles. 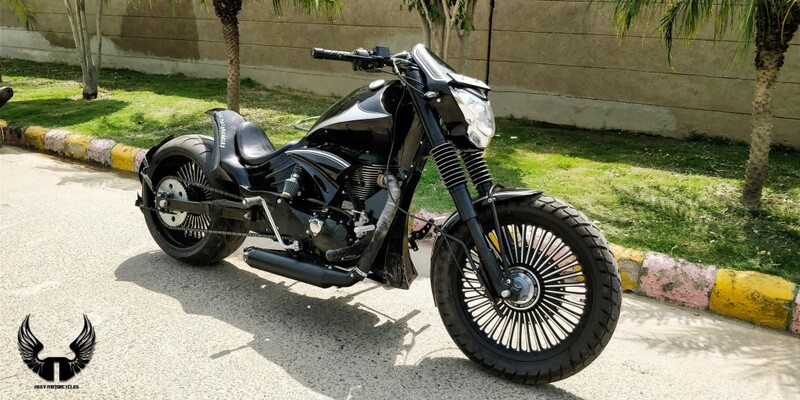 The rider seat is positioned very low and foot pegs are placed in a forward position and the riding position is specially designed for tall people in mind. The custom shop has also given specially designed engine covers at the side and front. 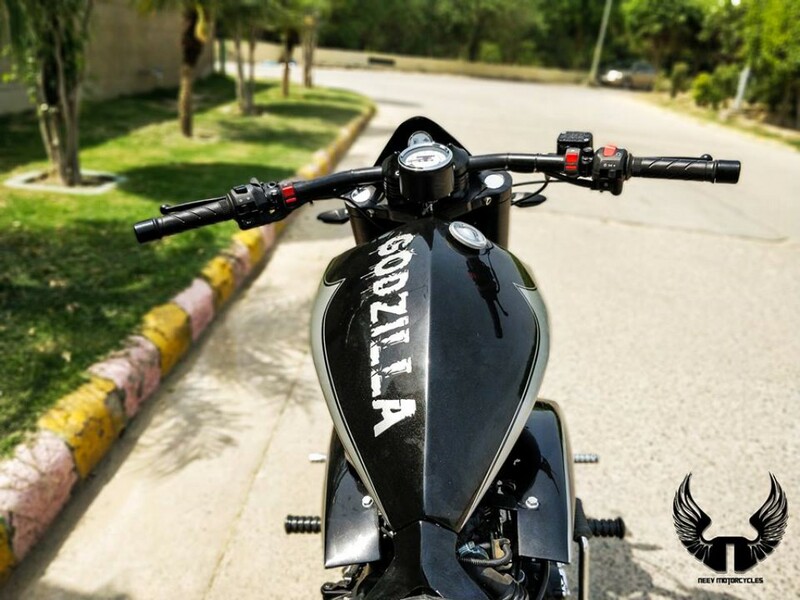 One of the unique modifications they have given for Godzilla is that the chain is placed on the right side instead of left like those on the stock bike. 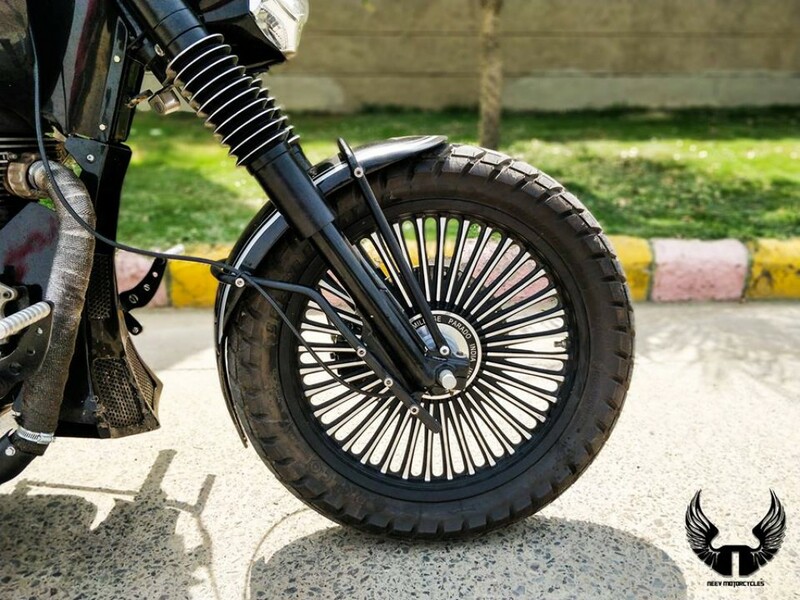 The sprocket and swing arm are custom made to go with the changes they made. The K&N air-filter is placed on the side and he rear gets small LED strips which will be the tail lamp. 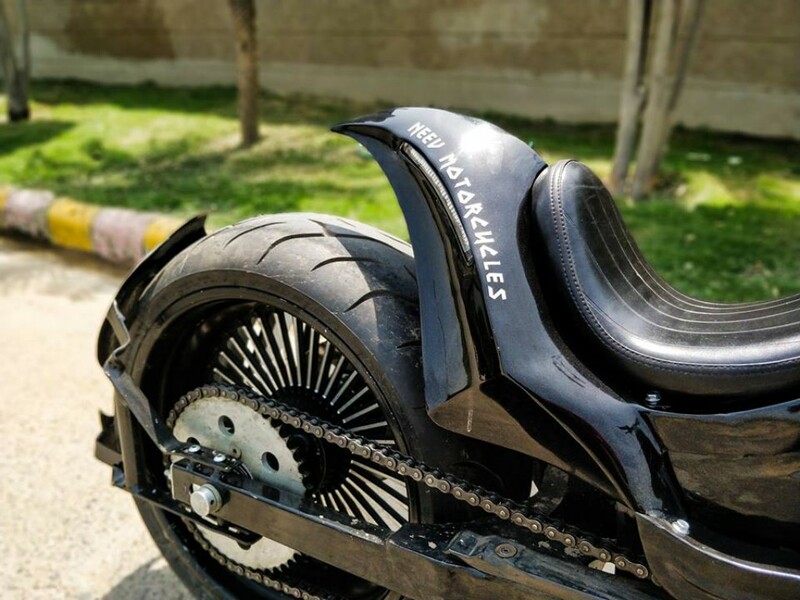 The custom shop has also given new tyre hugger with unique chrome detailing and the number plate is positioned on the side. 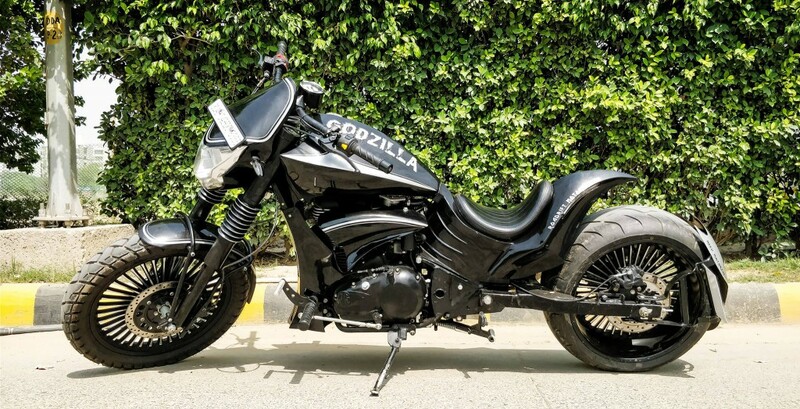 The bike is finished in black colour which increases the appeal of Godzilla. They haven’t made any changes for the engine as it is powered by stock 499 cc engine producing 27.2 hp of power and 41.3 Nm of torque. The engine is mated to the same 5 speed gearbox. 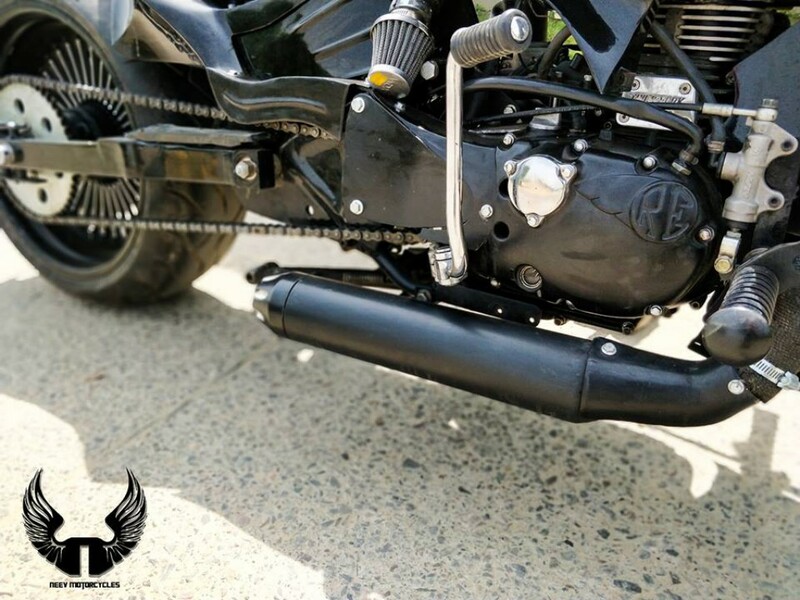 Neev Motorcycle has given a custom under belly exhaust with heat wrapping and the exhaust note is sporty. They haven’t revealed price of modifications yet but it will take two months to complete the process as the attention to details they has given is right up there with the best in the country.